Civil engineering is a professional engineering speciality that deals with the design, construction, and maintenance of the physical and naturally built environment. Civil engineering is the second-oldest engineering discipline after military engineering and it is characterised to distinguish non-military engineering from military engineering traditionally it is divided into several sub-disciplines including architectural engineering, environmental engineering, geotechnical engineering, control engineering, structural engineering, earthquake engineering, transportation engineering, forensic engineering, municipal or urban engineering, water resources engineering, materials engineering, wastewater engineering, offshore engineering, facade engineering, coastal engineering, construction surveying, and construction engineering. Civil engineering takes place in the public sector and private sector. Engineers of this field usually acquire an academic degree in civil engineering. Upon the completion of the degree, the new engineer is required to meet a few requirements such as work experience in order to be certified. The duration of this degree is usually 4 years. 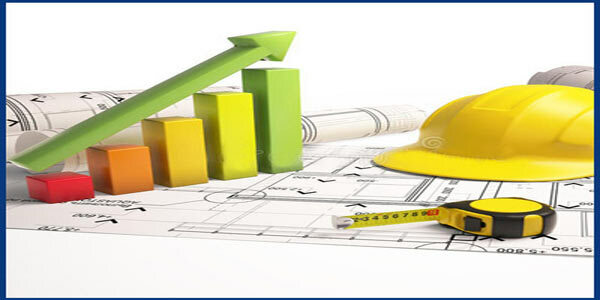 Civil engineers work on construction, renovation, and rebuilding projects. They often work alongside architects, technologists, and other industry professionals. Engineers may alternate time between working in an office and visiting sites. Duties may range from reviewing government regulations and city ordinances to designing highways. A bachelor's degree from an accredited program is the minimum requirement for most civil engineering jobs. High school students may consider advanced courses in mathematics, such as calculus and trigonometry to prepare for college. All the graduate degrees require minimum 24 credit hours of graduate level coursework. The Master's degree with a thesis-option requires 24 credit hours of coursework and submission of a thesis. In the case of non-thesis option, apart from 30 credit hours of coursework it is necessary to submit a final project report. For those admitted with a Bachelor's degree, the Ph.D. degree requires 36 credit hours of coursework, passing comprehensive and qualifying examinations, and defending a dissertation. For those who receive admission with an approved Master's degree, the only exception is that up to 24 credit hours of courses can be transferred from the previous university with the approval of the Director of Graduate Studies in Civil Engineering and the Graduate School. No course, if counted towards undergraduate credit, irrespective of its level, can be transferred for graduate credit. Most programs generally require students to complete laboratory courses in which they analyse substances ranging from soil to concrete. These courses help students identify basic properties of materials, as well as potential problems from using them. understand deep theory and policies of Civil engineering as well as be up to date with changing policies and advancements. Possess an independent thinking ability in civil engineering application and policy. Be strong in communication skills with research team members. Be able to conduct seminars, write research papers as well as other working activities. Next：What are the requirements to study in China?